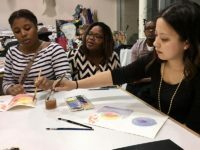 The Risa Fund and Artreach GW continue their Art Therapy Open Studio program with new sessions slated for Oct. 2nd - Dec. 12th. Download the flyer for details. To register, please email artreach@gwu.edu. 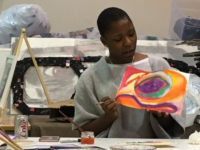 In February, the Risa Wellness Project@THEARC held four Tuesday evening art therapy open studio sessions. Participants used various media to express themselves through intentional artwork in a relaxed group setting. Each session was introduced with a prompt and concluded with introductions, sharing of artwork, and each group member setting an intention for the week. 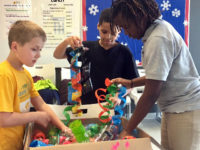 The Risa Fund seeks to enhance the well-being of underserved youth in Washington, DC through arts and athletic enrichment and improved access to mental health services.